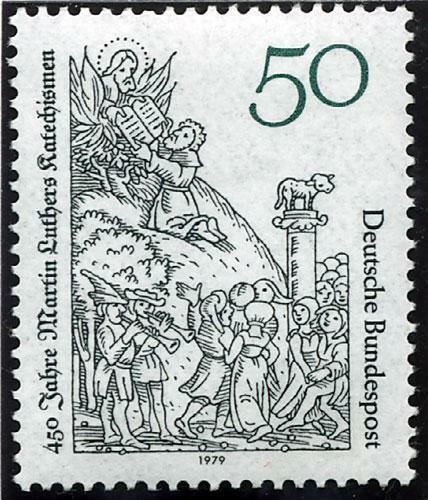 Martin Luther was the author of substantial body of written works at the service of the Reformation. All his life Luther published theological writings. His commitment also induced him to write political and polemical texts. His works in Latin and in German widely spread thanks to printing. Luther left considerable body of written works. If one takes into account the more or less accurate transcript of some lectures, they amount to over 600 titles. He was first and foremost a theologian, but also a preacher and a writer, who could express difficult subjects in a simple language, be it in Latin or in German. Luther’s main writings are listed below by types. During his imprisonment by the Elector of Saxony, prince Frederick the Wise at Wartburg Castle, Luther translated the New Testament into German. It was his first great achievement. It was published in 1522, prefaced by Luther and illustrated by Lucas Cranach. 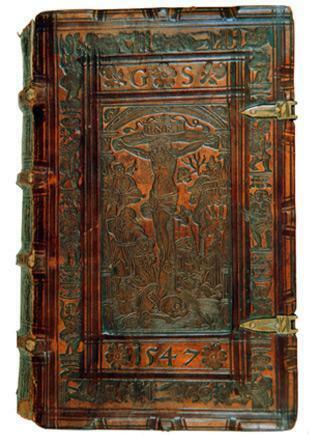 Luther completed his translation of the Bible in 1534. The large diffusion of Luther’s translation, thanks to printing, made it available to German speakers and contributed to establishing the German Language. Among his doctrinal writings should be cited Luther’s many letters, and writings on controversies. In the Lessons on the Epistle of Paul to the Romans given from 1513 to 1515, Luther freed himself from the medieval tradition so as to better explain Saint Paul’s message: God did not endow man with a quality of justice, but unconditionally forgave him and helped him along the path to sanctification. In 1520, the treatise On good deeds presented salvation through grace and considered faith as the only good deed. Faith persuaded the believer to act within the Church and in society, thus he/she was released from looking for salvation through deeds. In 1520, Luther published his Prelude on the Babylonian captivity of the Church, in which he dealt with the sacraments: he retained baptism and the Last supper and wondered whether penitence should be kept. He clearly rejected the four other “sacraments” established by the Church, namely confirmation, extreme unction, ordination and marriage. He considered the Last supper “captive” if the wine was kept for priests alone. In 1522, Luther published a treatise in German On the estate of marriage to setting out and explaining rules on marital status, which he considered far more important than cloistered life. He praised marriage and arbitrated on possible divorce cases. In 1523, in a short treatise Luther recalled that Jesus-Christ was born a Jew. The German Catechism or Large Catechism (1529) explained the ten commandments, the confession of faith, The Lord’s Prayer, and the two sacraments: baptism and Last Supper. Concerning baptism Luther was opposed to the Anabaptists who refused to baptise young children. For those who took part in the Last Supper, the bread and the wine, along with the promises of salvation, were at the same time the body and the blood of Christ. As for “penance”, confessing your sins to a brother was beneficial, but should neither be compulsory nor be a detailed catalogue of sins. The Small Catechism was written in the same year in a simpler language and was meant for “poorly educated” pastors and preachers. The Augsburg Confession presented by Melanchthon at the Diet of Augsburg in 1530, was based on many of Luther’s texts, notably on his confession of faith written in 1538 after the Treatise on Christ’s Last Supper. It forms one of the “symbolic books” of Lutheran Churches. In the Schmalkaldian Articles, written in 1537, Luther reasserted his points of view on justification through faith, on the secondary role of deeds, on condemning mass as a sacrificial ritual and on the harmful effects of cloistered life. Luther displaying his theses in Wittenberg © S.H.P.F. They will be forever damned along with those who teach it, those who believe indulgence letters ensure salvation. Christians should be taught that one who sees his neighbour in need, and neglects him/her to buy indulgences, does not buy the pope’s indulgence but God’s indignation. Why does the Pope not erect Saint Peter’s Basilica with his own funds rather than with the money of the poor believers, as he is wealthier nowadays than the wealthiest man ? The lecture on papacy in Rome and the image of papacy, published in 1545, were the last of Luther’s writings. They were extremely critical. The latter was illustrated with salacious scenes painted by Lucas Cranach, Luther’s friend. The judgement on monastic vows was published in 1522, three years before Luther left the Augustinian Order. It was a voluminous text against monasticism. It was dedicated to his father who had disapproved of his entering a monastic life in 1505. Luther considered that his vows were opposed to faith, evangelical freedom, commandments and reason. He particularly criticised the vow of chastity. 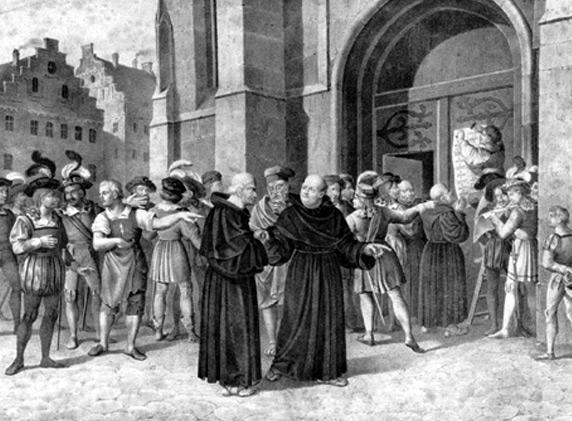 In 1520, his Appeal to the Christian Nobility of the German Nation on Christian state amendment was addressed to the Emperor and the German nobility, here Luther dealt with the universal priesthood of Christians and the ecclesiastical responsibility of the temporal power; he suggested abolishing the celibacy of priests and masses for the dead, and reforming education. On temporal authority and the limitations in obeying it was published in 1523. Luther exalted temporal authority, based on divine laws, but rejected faith-imposed obligations. It is the doctrine of the “two kingdoms” to which Christians were submitted, one temporal and the other spiritual. Luther expressed himself on the Peasants’ war in his satirical writing Against the Robbing and Murdering Hordes of Peasants. Luther also pondered over the use of weapons. He put out his views in several different treatises, namely On temporal authority in 1523 and Can soldiers be in a state of grace? (1526). In his Sermon to the armies Luther showed the Turks as God’s enemies. In his War against the Turks Luther admitted the role of the Emperor but questioned his universal power, because he was neither at the head of Christianity nor the protector of the Gospel and of faith. 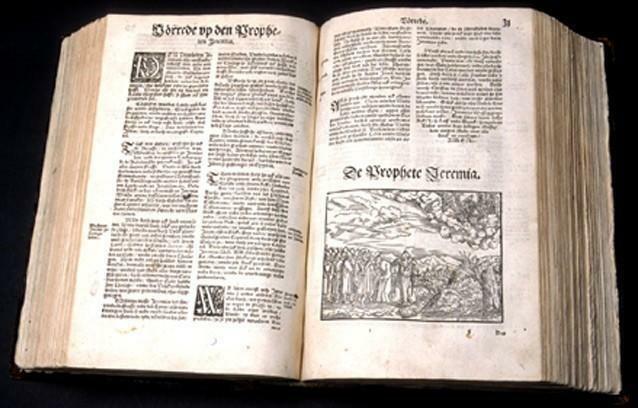 In 1536 Luther published The duty of civilian authorities to oppose Anabaptists with corporeal chastisements, in which he approved of the repression in the city of Münster when it was captured in 1525 and where John of Leyden had instituted a Theocratic and polygamous regime. During his last years alive, Luther seemed to confuse Jews, Turks, papists and sectarians, all accused of favouring the Antichrist. In some writings on the Jews, such as his Commentary on Genesis in 1535, Against Sabbath observance in 1538, and David’s last words in 1534, Luther considered that in not accepting Jesus as the Messiah, the Jews aroused the wrath of God against them. 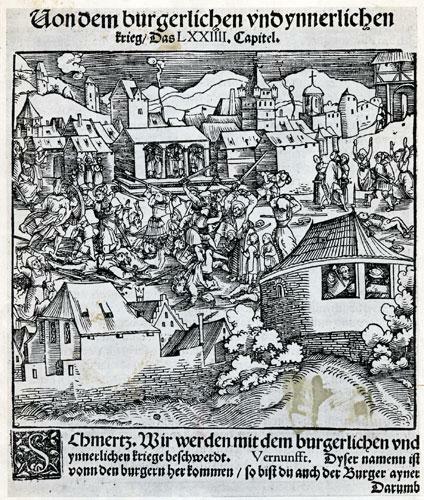 The pamphlets entitled On the Jews and their lies, On Shem Hamphoras and David’s lineage all written in 1534 (at the time that the Elector of Saxony expelled the Jewish communities from his jurisdiction) were caricatures that even called for violence, for instance chasing the Jews out of their homes. In his Exhortation on prayer against the Turk published in 1541 after Suleiman the Magnificent invaded Hungary, Luther presented the Turkish peril as a divine punishment and urged his fellow countrymen to repent. Other texts not written by Luther should also be added, these include lessons transcribed by his students and also his Table-talk which he had not necessarily given leave to publish. Some of these apocryphal texts were used by his Catholic detractors.